The Greek words are kletos apostolos — literally “a called apostle.” Kletos is an adjective from the verb kaleo, “to call,” which has the idea of being invited to a particular office. That office was the noun apostolos.” Christians are used to hearing the term “apostle,” but the word is only a transliteration of apostolos. The word comes from apo (from) and stello (to send). The meaning of the word is someone who is sent with a commission. Ancient Greeks used the word to describe a person sent on a mission with credentials as a representative of another person (envoy) to carry out the orders of that person. Paul presented himself boldly as having been called by Jesus Christ to be an official representative of God, fully credentialed by Christ for everything the Lord would order him to do. Think about that for a moment. Let the power of the meaning of those words sink into your mind and heart. Paul is not just another preacher, not just another writer, not just another Christian leader. Paul was called “Personally” by Christ Jesus to represent Him to the world. With this in mind, look again at how Jesus called Paul. Look at what Jesus “called” Paul to do. Paul’s apostleship is unique. Look at what the Apostle Peter said in Acts 1. Peter said that it was vital the disciples of Christ chose someone to take the place of Judas Iscariot as an apostle. Judas had been “numbered” with the other apostles and had “obtained a part in this ministry.” What was the number? 12. Why 12 apostles and not two or ten or 20? The 12 Apostles will sit on 12 thrones, judging the 12 Tribes of Israel. That’s the reason for the number 12. It corresponds to God’s future plan for judging Israel. The Holy Spirit made it clear immediately following Christ’s Ascension to Heaven that 11 of the original apostles remained (Acts 1:12-14), but that they had to select one more to bring the number back to the number 12. The criteria for the person who would be added to the Lord’s group of apostles was that he had accompanied the other apostles “all the time that the Lord Jesus went in and out among us, beginning from the baptism of John to that day when He was taken up from us, one of these must become a witness with us of His resurrection.” Based on that criteria the disciples came up with two names: Barsabas, surnamed Justus, and Matthias. The disciples prayed for guidance: “You, O Lord, who know the hearts of all, show which of these two You have chosen to take part in this ministry and apostleship from which Judas by transgression fell, that he might go to his own place.” The disciples cast their lots and Matthias was numbered with the 11 apostles. When the time comes for the Lord’s apostles to judge the 12 Tribes of Israel, Matthias will be on one of the 12 thrones judging the Tribes. That’s a high honor. What was the ministry Matthias and the other apostles were called to do for the Lord? Judging the 12 Tribes is a future ministry. The first ministry Matthias and the others were called to do was make disciples, baptize them, and teach them to do everything Christ had commanded them. (Matthew 28:19-20) The specifics of that ministry are clearly explained in Matthew, Mark, Luke and John and the first several chapters of Acts. I say the first chapters of Acts because the ministry of the 12 apostles is not addressed much after Acts 10 and not at all after Acts 15. Once the leaders of Israel rejected the apostles’ message of the Messianic Kingdom of Jesus Christ, the Lord turned to a new apostle and something He had hidden from the “12” Jewish apostles. There is no question that Jesus Christ called Paul (Saul of Tarsus) to be an apostle. We read in Acts 9 that Paul was Christ’s “chosen vessel” to bear His Name “before Gentiles, kings, and the children of Israel.” The Book of Acts refers to Paul as an “apostle” (e.g. Acts 14:4, 14). 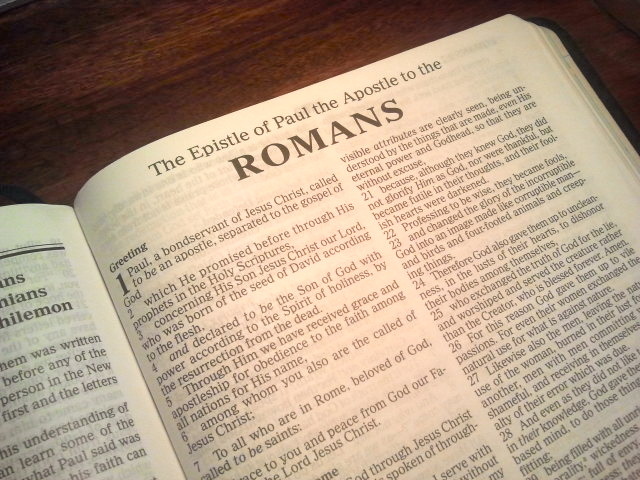 Paul referred to himself many times as an “apostle” of Jesus Christ (e.g. Romans 1:1, 5; 11:13; 1 Corinthians 1:1; 4:9; 9:1-2, 5; 15:9; 2 Corinthians 1:1; 12:11-12; Galatians 1:1, 17; Ephesians 1:1; Colossians 1:1; 1 Thessalonians 2:6; 1 Timothy 1:1; 2:7; 2 Timothy 1:1, 11; Titus 1:1). If that’s not enough proof of Paul’s apostleship, the Holy Spirit inspired the Apostle Peter to write in his last letter before death about the special position of the Apostle Paul. So, why wasn’t Paul numbered with the 12? Why won’t Paul sit on one of the 12 thrones judging the 12 Tribes of Israel? For one thing, Paul didn’t meet the criteria of being one of the “12” apostles. He had not accompanied the other apostles all the the time that the Lord Jesus went in and out among them, “beginning from the baptism of John to that day when He was taken up from us, one of these must become a witness with us of His resurrection.” We know from the timeline that Paul was most likely living in Jerusalem at the time John the Baptist was baptizing and Jesus was teaching and healing in Israel, and that he was old enough to be included as an apostle (based on the age of the Apostle John). So, why didn’t Peter and the other disciples consider Saul of Tarsus to be the 12th apostle? Why didn’t the Holy Spirit instruct them to send someone to find Saul and bring him to the meeting before Pentecost so they could vote on him as well? Simple. Paul did not qualify. He could never qualify for being an apostle of Christ as explained by Peter under the inspiration of the Holy Spirit. Saul was not a believer in Christ at the time of Christ’s Ministry on earth. In fact, Saul became the chief enemy and persecutor of the followers of Christ in Jerusalem, Judea, Samaria, and Syria after Stephen’s martyrdom. There’s no way Paul could have been the 12th apostle. I share this because there are many people who teach that Peter and the apostles made a mistake choosing Matthias as the 12th apostle. Their theory is that Peter made his decision to choose a replacement for Judas Iscariot in the “flesh” and should have waited for Christ to call Saul of Tarsus so that he (Paul) could be selected as the 12th apostle. The fact is it didn’t happen because that’s not what God had planned for Paul or the unsaved Gentile world. In the next part of our study, we’ll look at the differences between Paul and the 12 Apostles and how it impacts the Church today.